There are several methods for testing the hardness of a coating. One common test method used in both field and lab settings is ASTM D2240 – Durometer Hardness. 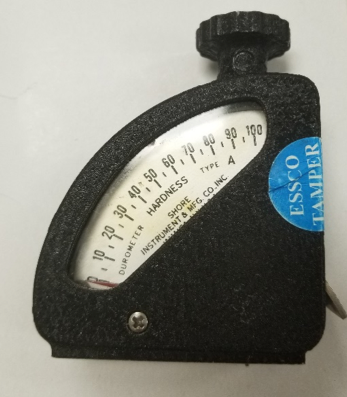 According to ASTM International, Durometer Hardness determines indentation hardness of substances classified as thermoplastic elastomers, vulcanized (thermoset) rubber, elastomeric materials, cellular materials, gel-like materials, and some plastics. What are the test types for protective coatings? There are twelve different scales that can be used in the test, but Type A and D are the most common for protective coatings. Type A is used to measure softer, rubber-like coatings; while Type D is used for harder, plastic-like coatings. The hardness test fixture has a metal indentor that is pushed into the surface of the coating. The depth of the indentor penetration is translated into a hardness reading that is simply read off the dial. This test can be used in the field to confirm that a coating is sufficiently cured, but care must be taken because the indentor can leave a small pinhole in the coating if the procedure is not properly conducted. Which hardness level is preferred for protective coatings? 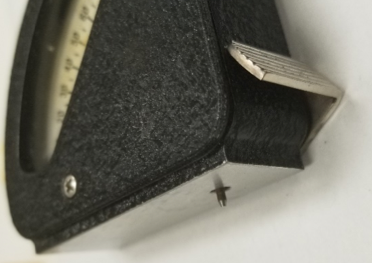 To achieve a desirable balance of elongation and tensile strength, CIM urethane coatings are formulated to have a hardness of approximately 65 when measured with a Type A Durometer or 65A. This hardness is similar to a car tire; is the perfect balance of tough, but flexible. 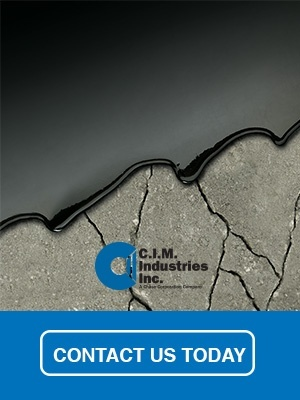 Whether coating concrete or steel, the CIM Industries coatings are flexible enough to move with the substrate, but tough enough to have very good abrasion resistance. Harder coatings do not have the same flexibility causing them to crack and/or delaminate under similar substrate movement. It is common to think that harder coatings offer more abrasion resistance, but that is not always the case. Some elastomeric coatings, such as CIM, have superior abrasion resistance to many epoxy coatings with harder surfaces when tested to ASTM D4060 – Abrasion Resistance or Coatings. If you have any question, please don’t hesitate in contacting us. 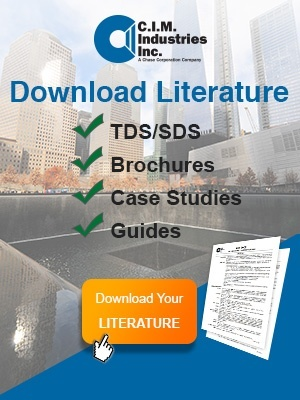 One of our consultants will give the right information for your coating needs.